The Ambassadors are a parade unit with limousines and claim to be a fun unit to be a part of. I believe it! At the Shrine Circus last year I watched as they tried to see how many clowns they could get into one of their limousines. The Arab Patrol is an excellent unit to belong to for someone who wants to be active and promote the Shrine and the Shrine Hospitals. We operate a miniature train and give rides at special events and parades. 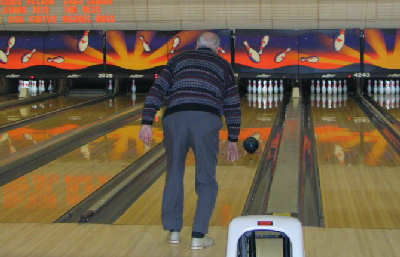 The Nobles in the Bowlers Unit enjoy the best of both worlds. They support Za-Ga-Zig and The Shriner’s Hospitals for Children and enjoy the fellowship and competition of bowling while doing it. The Ambassadors are a parade unit with limousines and claim to be a fun unit to be a part of. I believe it! At the Shrine Circus last year I watched as they tried to see how many clowns they could get into one of their limousines. We have fun and enjoy fellowship and song. It just doesn’t get any better than that! If you have some Choral Skill – check us out. It has been said that being a Clown is the best paying job in the Shrine. The Clowns are the most visible ambassadors of the Shrine because of their costumes and antics. They attract attention everywhere they go and are seen by thousands of people each year. Indy cars. They are a very socially oriented unit. With our red, Chevy Camaro and pearl Toyota Solara convertibles, we are simply the best looking parade unit in Za-Ga-Zig. We have fun too! The Directors Staff receives new candidates for the Shrine and help them through the initiation. As such, we are one of the first contacts that a new noble experiences. The Greeters, like the name implies, greet members and guests at various Shrine functions. The Isettas are a motorized parade unit named after the unique cars that use. We participate in 25 – 30 parades a year and operate in the belief that a successful unit should be fun, active and harmonious! The Legion of Honor exists to perpetuate the memory of those who died in the service of our country and to foster a spirit of patriotism for this great nation. Membership in the Legion Of Honor is limited to Nobles of the Mystic Shrine who are serving in, or have been honorably discharged from, the Armed Forces of their country. This includes service in the Guard, Reserves, Merchant Marines, and Coast Guard. We are a motorized parade unit. We are the guys in the Keystone Cops outfits on the mini-bikes and are seen by thousands of people each year at parades in communities across the state. If you want something done, ask a Mobile Noble. Not a parade unit, the Mobile Nobles are the ‘Who’s Who’ for raising money and volunteering when needed for the Shrine. It’s who you know and what you can accomplish of these top salesmen and connected Shriners. The Mobile Nobles also invite their ladies OFTEN for their fun and numerous social/unit/trip activities..
A great parade unit that has lots of fun in South West Iowa, attending and performing in dozens of parades each year. If you live in the Nishna Valley area and want to join a shine unit, this is the one for you. The Oriental band is a charter unit of Za-Ga-Zig Shrine. The Oriental Band plays a vital role in our ceremonials welcoming new members to Shrinedom. We perform at our annual Shrine Circus, the family picnic and other temple functions at the will and pleasure of our Illustrious Potentate. You do not need to have any musical talent to belong. Our instruments are easy to play and with a little practice we will have you performing comfortably in no time. The Oriental Band’s focus on making noise, fellowship, and having fun at everything we do. duties at Ceremonials, parades, conventions and other Shrine functions. We also participate in handgun and shotgun competition shooting. If you like photography, graphic arts or writing, and would like to put your talent and ideas to work to promote the Shrine and work with other like minded Nobles, we encourage you to join the Public Relations Unit. The Sandrunners are a motorized parade unit that operates dune buggies. “Looking good, having fun and helping kids”. That’s a winning combination! The focus of the Sportsman’s Club is on all outdoor sports and activities. We are not exclusively a hunting or fishing club. Hunting, Shooting, fishing, boating, hiking, bird watching…we support them all. The Tin Lizzie Patrol is an excellent unit to belong to for anyone in the Marshal County area who wants to promote the Shrine and the Shrine Hospitals and have a good time doing it. We parade in miniature model T cars and support other Shrine activities. Click on the link and take a closer look at the Tin Lizzie Patrol Unit. You might just like what you see. We sure do! We are a motorized parade unit, riding on three-wheeled trikes. In addition to participating in parades promoting Za-Ga-Zig Shrine and the Shriner’s Hospitals for Children, we compete at Central States. Just take a look at the trophy case at the Shrine Center, and then take a closer look at the Trike Patrol. We’re sure, once you learn more about our unit, you’ll want to be a part of the fun! We are the fastest moving parade unit in Za-Ga-Zig! Our unit has 11 mini Indy race cars and we perform precision driving routines along parade routes. Take a minute to look at Za-Ga-Zig’s many clubs. We are confident that you will find a club that interests you! There’s serious ‘Shrinin’ and there’s fun Shrinin’ and the Clan definitely is serious about fun ‘Shrinin’. If golf is your game then the Hole-In-One is the shrine club for you. You will be hard pressed to find a club that has more involvement with our Shrine Hospital Children. A more important and gratifying activity would be hard to find. The “Hot Rods” is the hottest new club at Za-Ga-Zig. Club members are Nobles who enjoy car shows and parading in their favorite ride. 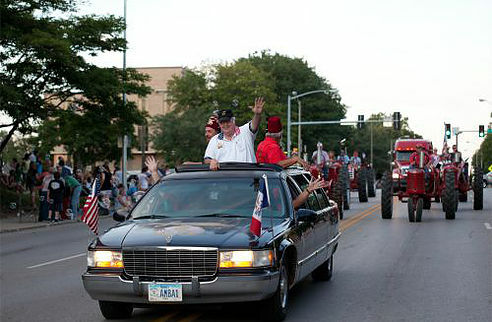 The Shrine Bowl Club organizes and presents the Iowa Shrine Bowl, Iowa’s premier football event. The top H.S. seniors from across the state are selected to play in the game to support the Shrine Hospitals Children. 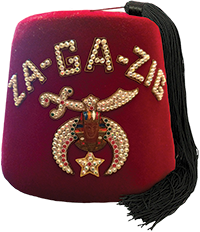 If you are new to the Shrine and have not found a unit or club that you are ready to join, then you need the Young Shriner’s Club (YOSHI). Join us, have fun and learn about the Shrine and it’s units. We are a coed softball team and play in the Mars League. We were the 2008 League Champions. If you like to play softball or just enjoy watching softball and want to join one of Za-Ga-Zig’s newest clubs give us a try!